It is used for testing mechanical properties of the inspection chambers and the manholes. It can take load test for the chamber body and ring-stiffness test, lateral compression test,ring-tiffness test for the chamber riser. 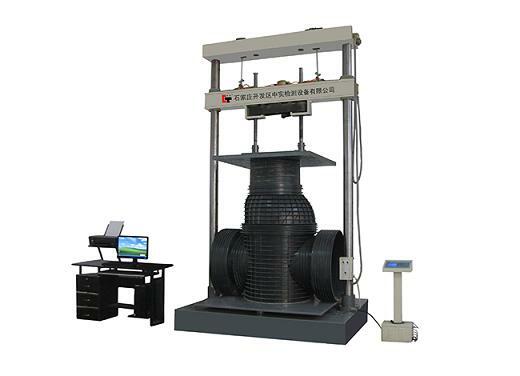 Beside the above tests,this machine can be also used for various products' external load resistance test. It is ideal testing equipment for factories, mines, science research department.